A high-level restaurant must have a sophisticated, light and elegant website. 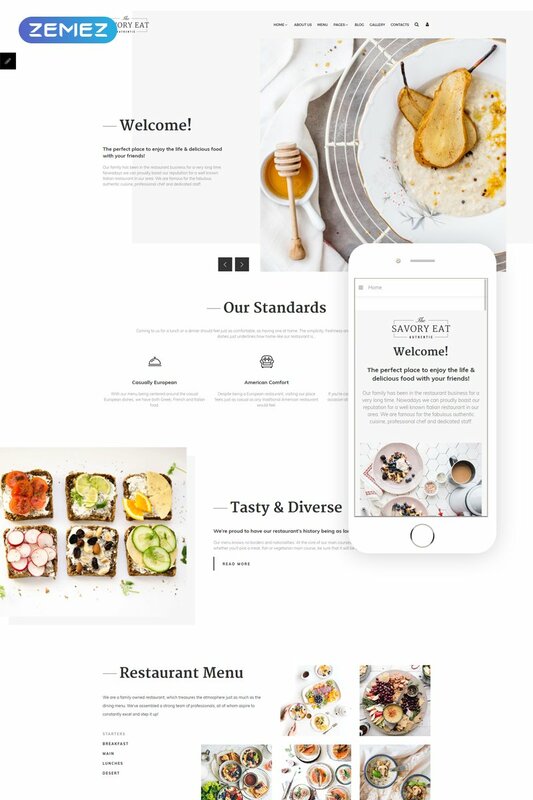 Savory Eat Joomla template will help to make a perfect first impression both on your constant client and potential visitors. The design looks as gorgeous as an expensive post card, the photos are bright and make the observer feel hungry. All the photos are included in the template pack and ale completely at your disposal. The template has convenient and understandable booking form, detailed menu functionality and reviews block. There are also gallery and blog modules, so if you would like to show visitors your marvelous interior or tell some latest news you won't meet any problems doing that.